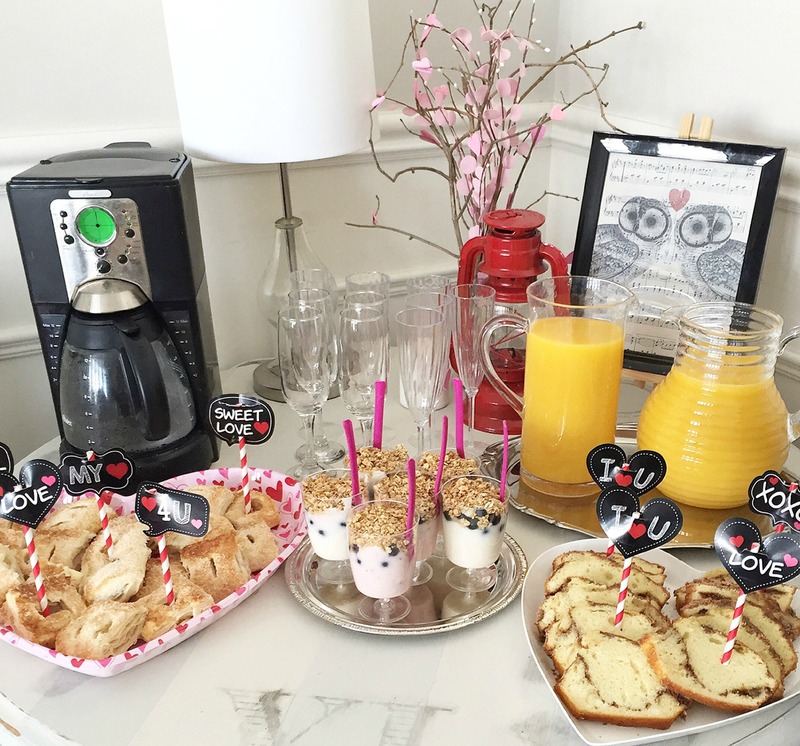 This year for Valentine’s Day, we decided to host a lovely brunch for my husband’s side of the family. It was so wonderful to get to visit with everyone and have the kids run around and play together. And who doesn’t love a good brunch anyhow? 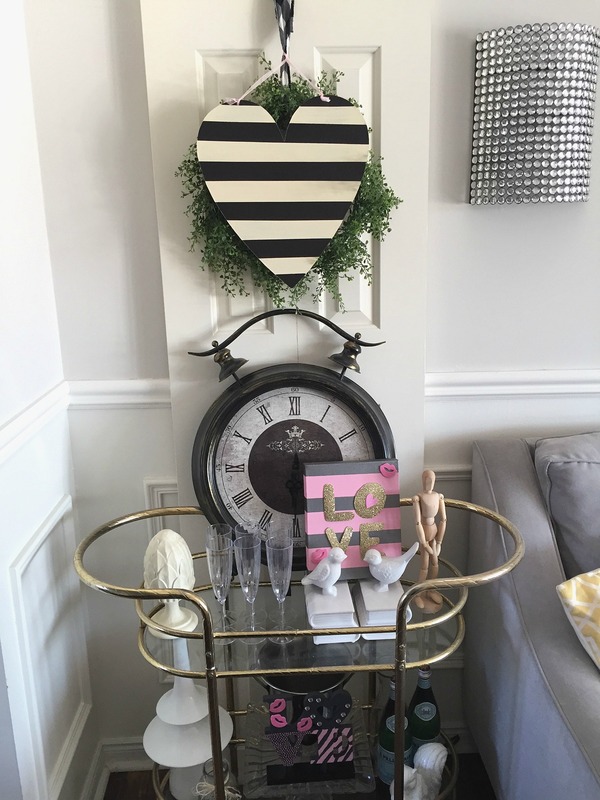 I’m really digging black and white decor lately (as seen by my neutral Christmas and Winter decor posts featured here and here), and I wanted to carry that through to Valentine’s Day as well. I knew that I wanted this table to be simple and easy, but I hadn’t actually planned out what to do specifically. We actually had a few guests show up about 40 min. 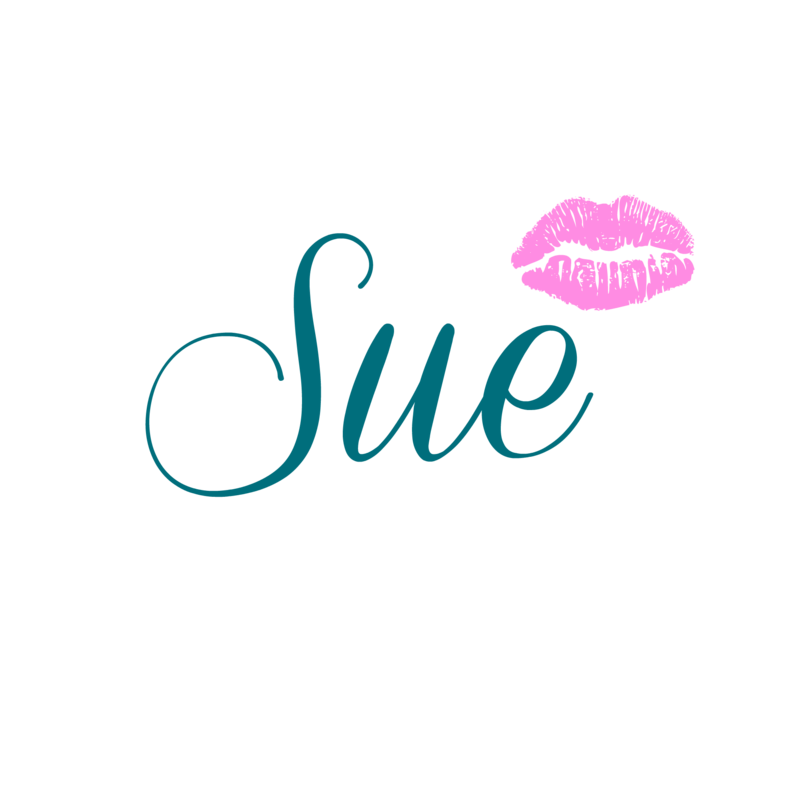 early for brunch (Ahhhhhhhhhh…….Lol!!!) , so I literally had to throw this table together pronto. My husband gave me the sweet yellow roses, so I decided to start with those and work around that colour tone. 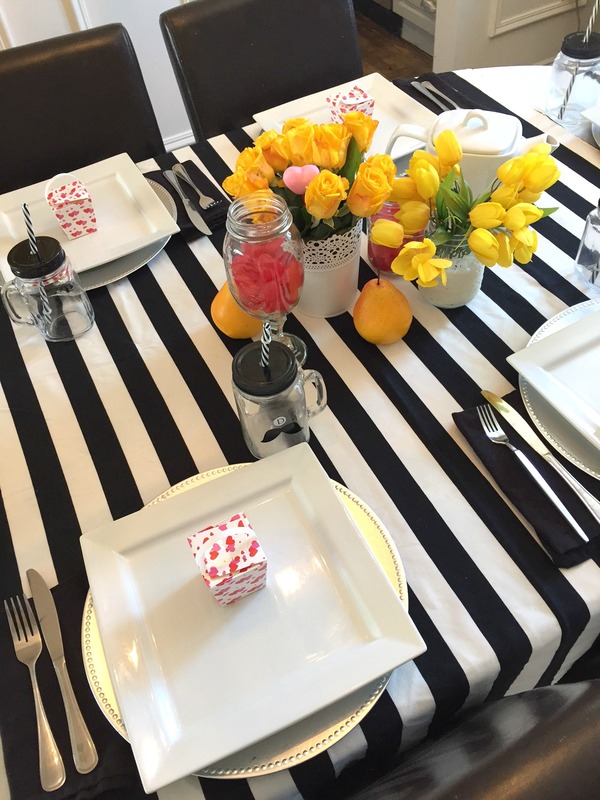 I also grabbed my faux yellow tulips to help pull the yellows all together. 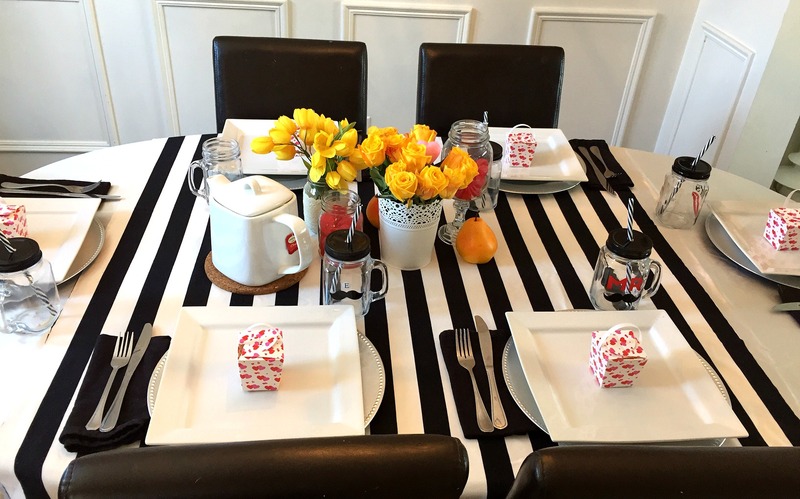 I love my striped table runner, and figured it would pop against the white satin tablecloth. 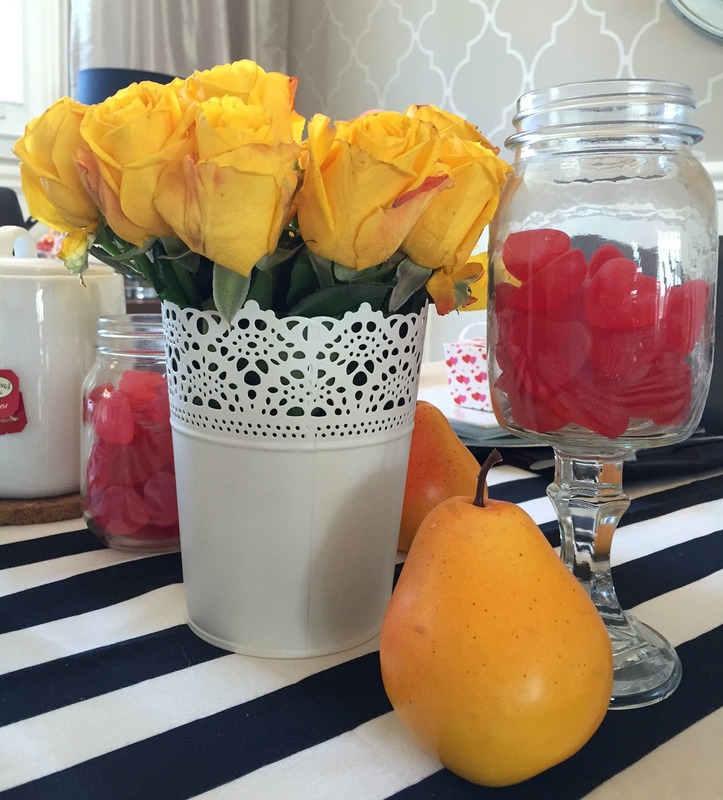 I then placed some mason jars with red candy in amongst the flowers. The cute little boxes at each place setting were empty and I figured guests could fill them up with candy to take with them after the brunch. As I was trying to (quickly) set this table, these yellow pears (which I usually use for Thanksgiving decor) kept falling out of my sideboard as I was trying to pull out napkins and chargers. It then occurred to me that these would actually work as decor for the table too, since they are such a happy and pretty yellow. I grabbed a couple and haphazardly placed them around the other items to act as an accent. Here is the whole table, which was literally thrown together in about 4 minutes. We have a tiny dining room 🙁 and our sideboard is only large enough to hold our two buffet servers for the hot foods; so one of the ways we handled the overflow for food & drinks was to use my recently refinished clock table for guests to grab some coffee, orange juice, a yogurt parfait, and some yummy pastries. Check out that awesome lantern I scored from the Dollar Store for $3.00 ….. #loveit. This table is right around the corner from the dining area, so it’s easily accessible for guests to grab some treats and refreshments. Thank you Justine <3 I swear I get so much inspiration from just browsing around at dollar stores and it always gets my head spinning with ideas. Plus, you can't beat the price ???? Oh, I love brunch! Your Valentine’s Day decor is classy and beautiful. Thank you for sharing. I will have to host a brunch next year for sure! So cute!!! Brunch is my favorite meal! Fabulous photos! 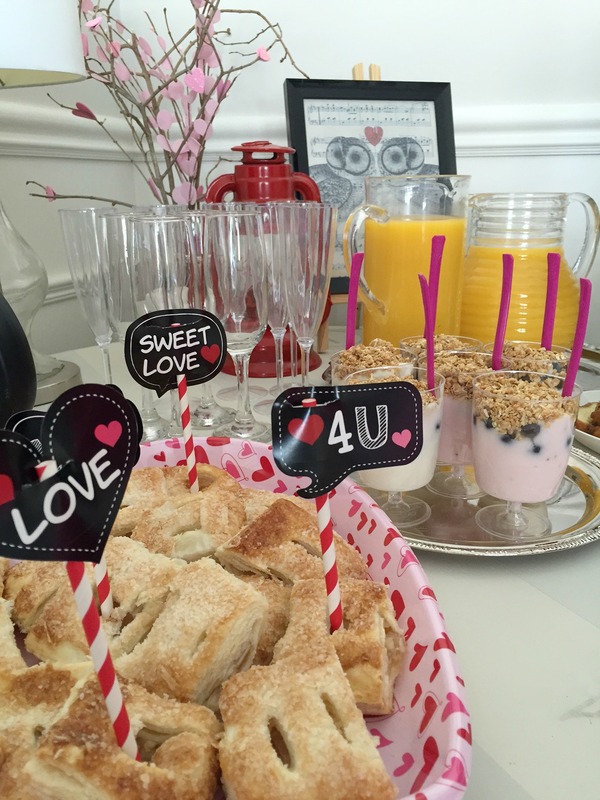 I never hosted a Valentine Brunch before but this is certainly, inspiring! I might have to put it on my list for next year! 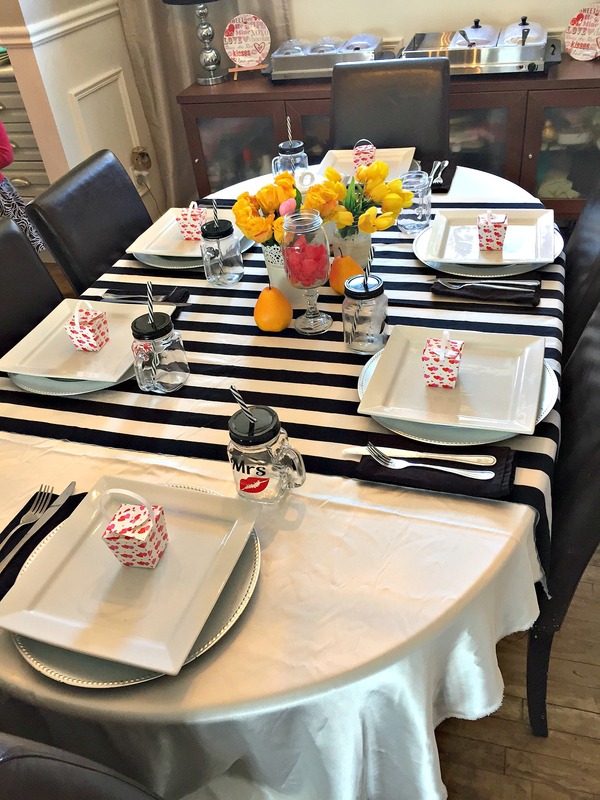 The color scheme looks great and your overflow table idea is terrific! 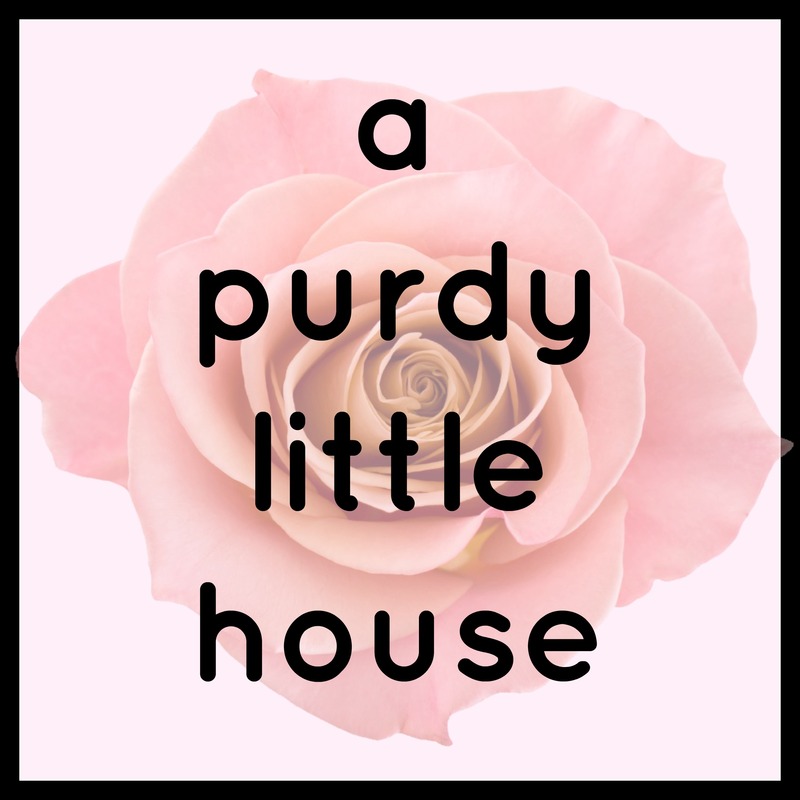 Thanks so much for checking out my blog and especially for your sweet comment Gloria ??? ?